Italian yard Rossinavi used the occasion of the Monaco Yacht Show 2017 to announce a new partnership with designer Gian Paolo Nari, the first fruit of which is a superyacht concept called the Maverick 55. 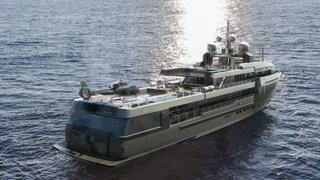 A rugged explorer yacht based on a hull developed by Arrabito Naval Architects, this 55.2 metre design features high bulwarks and an almost vertical prow, ideal for ploughing through rough sea states and spending months at sea. 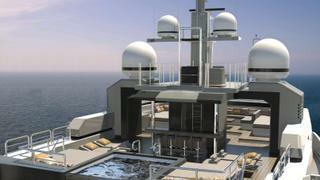 Key features include a fold-out superyacht beach club with a central staircase leading up to a panoramic lounge. Moving further upstairs and the large aft deck features a touch-and-go helipad as well as plentiful seating options, and the entire area can be shaded by four rectangular parasols. Further al fresco relaxation options are offered on the upper deck with a superyacht spa pool, adjacent bar area and a telescopic lounge area that can rise up to the observation deck, which is surrounded by slender railings for minimal interruption to the panoramic vistas. 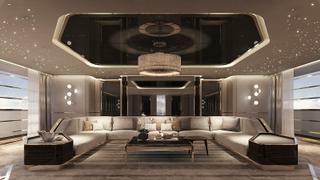 Meanwhile, the saloon has been envisaged in an opulent style, with a large C-shaped wrap of seating, plush Trussardi cushions and a spectacular lighting design, suggestive of a star-lit sky. 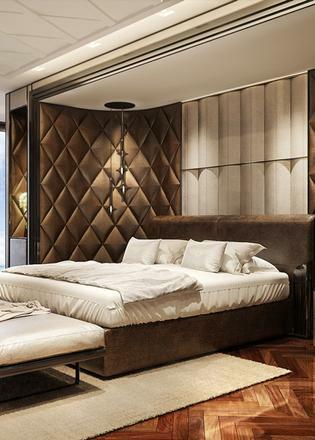 This theme is carried through into the staterooms, with chaises lounges, quilted wall linings and rich wooden flooring. Accommodation is for up to 14 guests split across seven cabins, while the crew quarters allows for a staff of up to 12 people. Power would come from a pair of Caterpillar 3512C engines for a top speed of 16 knots and a globetrotting range of 6,000 nautical miles when cruising at 15 knots, drawing on a total fuel capacity of 150,000 litres. 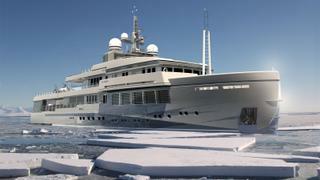 Other superyacht projects currently under development at the Italian yard include the 70 metre flagship King Shark, which is due to hit the water in 2020.